No reviews yet for Dorking United Kingdom Natural Fitness Company Mud Kids Summer 2019. Click here to be the first! This is Dorking’s course, where we make optimum use of the natural beauty of the Surrey Hills landscape, running through streams, up steep banks and up and down hills, through woodland, natural springs and bogs. We carefully curate obstacles both from this natural beauty, and to interact with it. From climbing walls, crawling stations, great big belly laugh inducing slides, piles of hay bales to navigate, and intricate spiders’ webs to wiggle through, to much more besides. 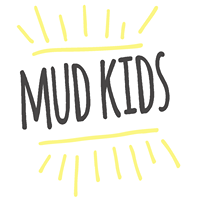 Please see our obstacle course race discount & promotion page for all the latest discounts, promos, promotions, discount codes, and coupon codes for Dorking United Kingdom Natural Fitness Company Mud Kids Summer 2019. There also may be one listed at the top of this page.